Over 15 years in the making!!! 3 volumes of awesomeness!!! Super easy to use & fun to play!! The best saxophone book ever! “Bravo on a great book filled with pertinent ideas and a systematic approach to practicing and thinking about music. 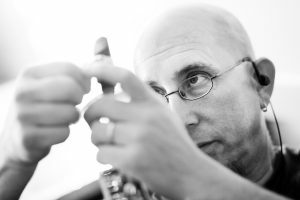 JEFF COFFIN, 3x Grammy winning saxophonist, educator, and composer from Dave Matthews Band, Bela Fleck & The Flecktones (1997-2014), & The Mu’tet, has a new book available! It’s called THE SAXOPHONE BOOK (TSB) and is unlike anything available on the market today! Written with students, educators, and pros in mind, the information in THE SAXOPHONE BOOK has already benefitted thousands of saxophone players around the world. TSB is a comprehensive study of the fundamentals of music and, in particular, the saxophone. These concepts have been fine tuned by Jeff over the course of the 300+ clinics (and countless lessons) that he has presented worldwide over the last 20 years as a solo, Yamaha & D’addario Performing Artist. Exercises in TSB include scale work (major, harmonic minor, melodic minor, blues, diminished, and whole tone), modes of every scale, introduction of odd meter, chord studies, blues arpeggios in 12 keys, misc. patterns, and intervallic sequences. As well, there is lots of easy to understand text covering concepts like – How To Practice, Identifying Strengths & Weaknesses, Taking Your Improvisation to the Next Level, Elements of Improvisation, Why Fundamentals?, Why Scales?, Must Hear Sax Recordings, Must Hear Sax Players, Equipment Tips, Thoughts and Questions on THE BIG 5 FUNDAMENTALS (Listening, Tone & Dynamics, Articulation, Rhythm & Time, and Harmony), and much more! Helping students learn the fundamentals is the #1 goal of this incredible 3 book series. Jeff believes that fundamentals are the ‘roots’ of musical learning and, in order for the student to grow, they need strong roots. It’s very simple. A metronome, tuner, patience, and good practice habits are all you need. The results are many and will occur rapidly! Superior listening, tone, dynamics, intonation, articulation, rhythm, time, and a deep understanding of harmony are all results of working on fundamentals. For well over 15 years, since the early Bela Fleck & the Flecktones days (late 20th Century), Coffin has worked on and developed this material. What you see here is the result of that work. Literally hundreds, and likely thousands, of hours have been spent putting these books together in as concise and clear a way as possible to benefit the student and pro. Thanks for checking out this site and my book! !